1. 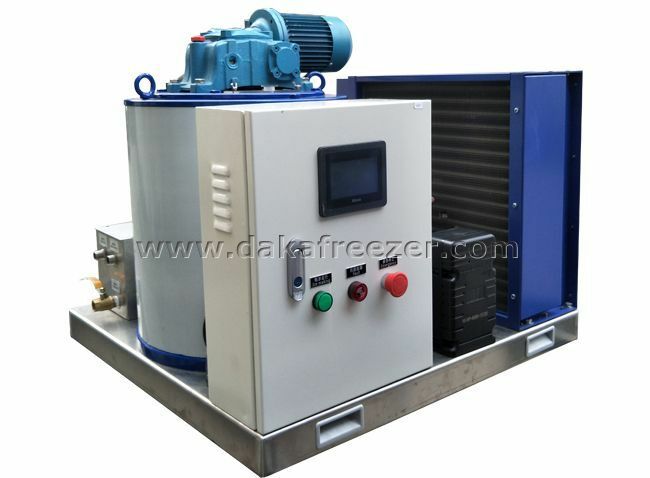 All Flake Ice Machine 0.3T with air-cooled units (mainly small tonnage, small floor space, can be directly placed in the store, directly take ice, can not be equipped with ice trucks, convenient and fast, because there is central air-conditioning in the store, the unit operating environment is better, The unit's condensing pressure is relatively stable, and the unit has a long working life. 4, split water-cooled unit (generally because of the special constraints of the installation space, the evaporator and the other parts of the unit are separated, mainly for large ice-making units).